Bill Hader is set to star in Jesse Andrews’ directorial debut ‘ “Empress of Serenity,” an indie dramedy loosely inspired by David Foster Wallace’s “A Supposedly Fun Thing I’ll Never Do Again,” TheWrap has learned. Backed by Good Universe, “Empress of Serenity” is an original screenplay that follows a man (Hader) who embarks on a cruise to bond with his father, who helps his son deal with intimacy issues. The film is not an adaptation of Wallace’s work, which merely served as inspiration for Andrews’ original idea. Back in mid-March of 1995, the “Infinite Jest” author traveled about a luxury cruise ship for one crummy week and subsequently wrote about his troublesome voyage in an extended essay titled “Shipping Out” that was later re-titled “A Supposedly Fun Thing I’ll Never Do Again,” which anchored the author’s 1998 collection of writings. Stephen Chbosky is producing with Mr. Mudd’s Lianne Halfon, Russell Smith and John Malkovich. The group previously collaborated on the acclaimed YA movie “The Perks of Being a Wallflower.” Production is slated to start in the spring — somewhere in the Pacific Ocean. Andrews is the author and screenwriter of “Me and Earl and the Dying Girl,” which did an impressive job of balancing comedy and pathos. He’s repped by WME and MXN. 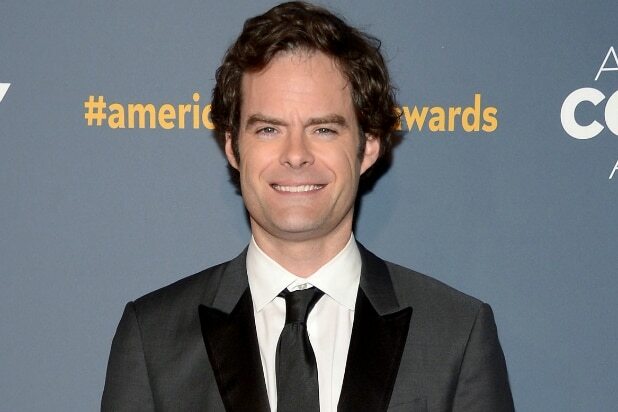 Since graduating from “Saturday Night Live,” Hader has played Amy Schumer‘s love interest in Judd Apatow‘s “Tranwreck,” Kristen Wiig‘s suicidal brother in “The Skeleton Twins” and James McAvoy‘s best friend in “The Disappearance of Eleanor Rigby.” He also provided the voice of Fear in Disney/Pixar’s “Inside Out.” All four of those films drew strong notices from critics and allowed Hader to showcase his range. Hader will soon be seen alongside Ethan Hawke and Julianne Moore in “Maggie’s Plan” and heard in both “The Angry Birds Movie” and the raunchy animated comedy “Sausage Party.” He also plays a giant in Steven Spielberg‘s adaptation of “The BFG.” He’s represented by UTA and attorney Fred Toczek.